Are your spill solutions fit for purpose? In a slapstick comedy, slipping over will guarantee you a laugh. In real life however, it’s not nearly as funny. Failing to correctly manage a spill can lead to serious safety issues, not to mention wasted time and money. Uncontained spill residue can lead to anything from an onsite accident to environmental damage. Businesses can be seriously damaged by the consequences of these events – be it through loss of productivity, workers compensation or poor public image. Having a fit for purpose spill solution on hand gives you the best chance to deal with a spill in a way that’s safe for staff, the environment and your wallet. 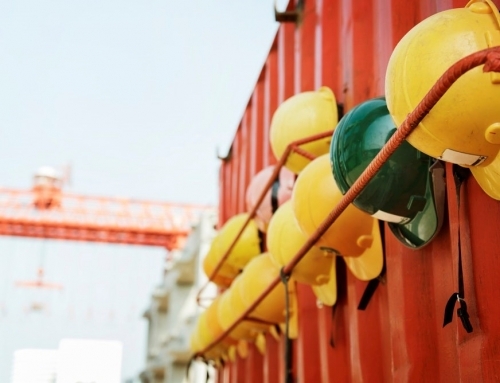 In any workplace or worksite spills are inevitable, so it’s important to have the right products on hand when they occur. This will ensure you can efficiently clean the spill and appropriately dispose of your cleaning products. Unfortunately, not every site has a fit for purpose spill solution. Many businesses use a floor sweep product as their only form of spill management. This might seem like a great option, and nine times out of ten it’ll be fine for your smaller spills. But when it comes to the bigger spills a floor sweep product is simply not enough – even less so if they aren’t using the most effective floor sweep. Dealing with bigger spills with just a floor sweep solution will leave you with one of three problems. You won’t be able to contain the spill, allowing the spill to run off and cause potential environmental damages. 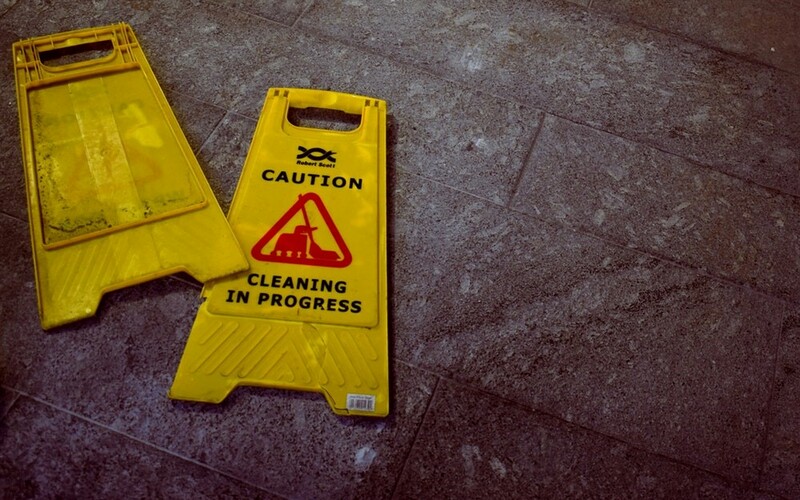 The chances that floor sweep alone won’t be enough for the type of spills you have is pretty high, and this can lead to some substantial costs. 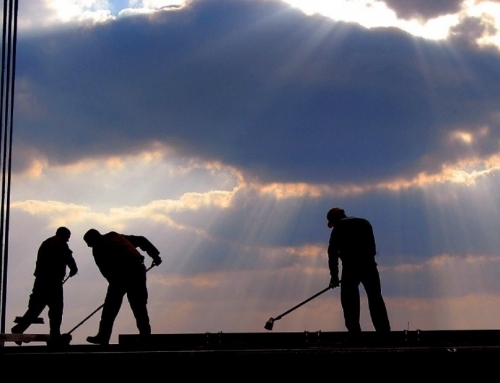 Workplace safety is a high priority on worksites. If your spill solution isn’t safe and doing its job, then neither are you. Second-rate spill solutions can cause employees to lose time, efficiency and their sense of safety. Failing to plan properly can turn a small spill into a big problem for business. How much time is it taking to clean a spill? How often do we encounter spills? How often are we having to replace our spill cleaning products? If the answer to any of the above is “too much”, your spill solution is likely not right for you. Something as small as the wrong spill solution can stop your staff and business from performing at its best. Is your spill solution the right fit? You wouldn’t wear ill-fitting pants – at best they are uncomfortable, at worst they are downright dangerous. The same can be said for spill solutions. 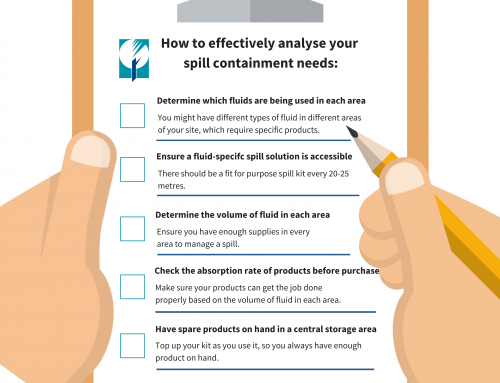 To ensure your spill solution is the right fit, first determine what type of liquid you’re dealing with. It’s important you have the correct solution for the hazard, otherwise it will not work to contain the spill. You wouldn’t use a vacuum to clean up a puddle, would you? Each group requires different methods of clean up. The key purpose to individual spill products is that they are made specifically to perform at their best in a certain area. While some products can be used on multiple spills, attempting to clean a spill with the wrong product could lead to further complications and end up costing you more than just the money and time it takes for you to clean it. 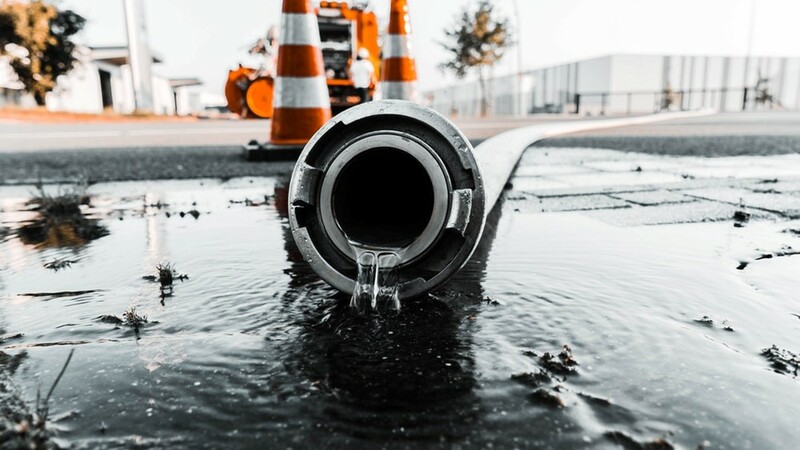 For example, using the wrong solution for a Hazchem spill can lead to stringent regulations of your site and serious fines if the spill leaks into drains or public areas. Luckily, it’s not up to you to gather together all the right products needed for efficient spill containment. It’s already been done for you, in the form of spill kits. Spill kits are the most efficient way to control a spill that may happen in working and operating spaces. But only a properly equipped spill kit can offer you a complete spill solution, so ensuring you’re getting the best quality for your money is a must. Most suppliers offer large, fully stocked spill kits that are easily moved – but that’s where the similarities stop. 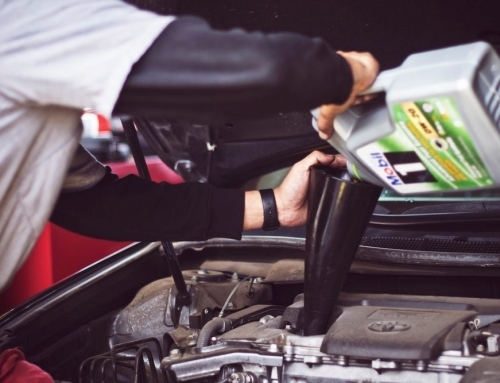 Knowing what to look for can save you the trouble of purchasing a low-quality spill kit. Kleen Sweep, – the leading floor sweep option. Derived from a renewable source, it can absorb three times its own weight. Cotton pads – which are 70% more absorbent than their poly counterparts. Accurate absorbency rating – meaning fewer replacements, lower cost, lower environmental footprint and a lower safety risk for employees. Enretech are a leading supplier of spill solutions. Our spill kits contain the highest quality products and hold the highest available absorbency rating. Click here to find the right spill kits for your specific spill clean-up needs, or click here to contact Enretech about their other premium spill solutions.